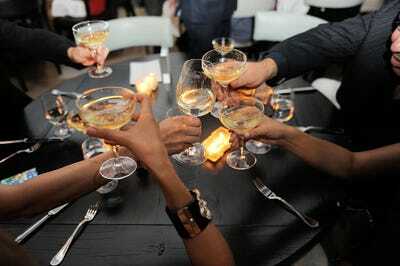 The glass you use for wines – including Champagne – influences how it tastes. A glassware expert explained to Business Insider what the ideal Champagne vessel is – and it isn’t the flutes and coupes you usually see. 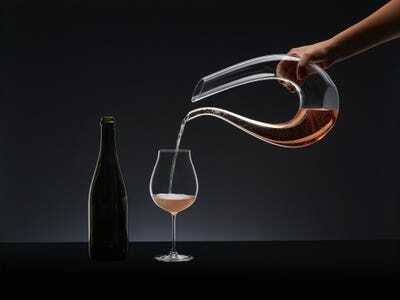 The flute’s shape stops you appreciating the wine’s aromas properly. Old-fashioned coupe glasses let the bubbles escape too fast. 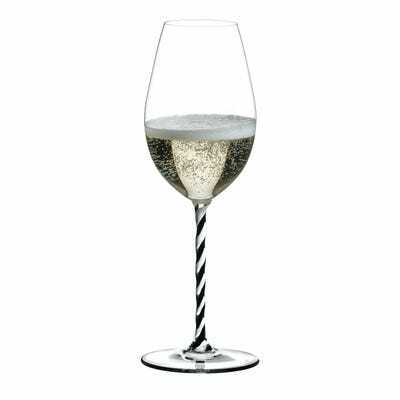 The best glass for Champagne has a wider middle and narrow top. Most wine drinkers choose the wrong glass for their grape, and it can have a massive impact on how wine tastes and smells. And Champagne is no exception. Matt Knight, UK Business Manager and wine-tasting guru at glassware company Riedel, said there’s a growing momentum behind the differences between styles of Champagne glasses. The wide, flat shape of the glass – made popular in the 1920s – means your Champagne will lose its bubbles fast. Dave Kotinsky/Getty ImagesA view of the Champagne Flutes at A Dinner with Rick Bayless and Daniela Soto-Innes part of the Bank of America Dinner series curated by Chefs Club at Hôtel Plaza Athénée on October 14, 2016 in New York City. 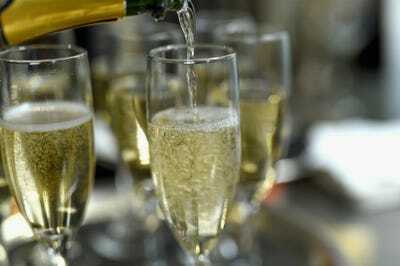 “The narrow Champagne flute originally came about through the hospitality industry because they wanted a glass where, when they were pre-pouring for receptions, they could keep the fizz in the glass,” Knight said. However, while the glass does keep the bubbles in, it also traps in the aromas, meaning you’ll miss out on the Champagne’s scents and flavours. “The glass we’ve developed [has a] wider middle and narrow top,” Knight said. And it’s not just Riedel that follows this logic. Bryan Bedder/Getty Images for G.H. MummG.H. Mumm champagne on display as G.H. Mumm Champagne celebrates Formula E with Mumm Grand Cordon at the inaugural ePrix Race on July 16, 2017 in the Brooklyn borough of New York City, New York. 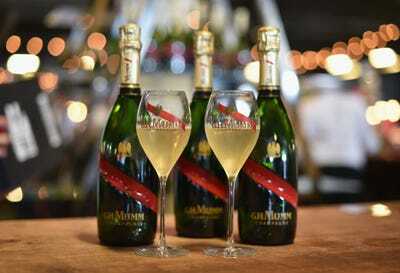 “We make own-label glasses for all of the Champagne houses, and the demand is for that style – large in the middle, narrow at the top,” Knight said. “The winemaker for Dom Perignon will only serve Dom Rosé in this shape,” Knight said.